Invitational: Artists are invited by the curator to participate. Call for Artists: Sculpture IS: In the Garden 2019 and annual Members’ Exhibit Members exhibit 2019 announcements in the community are posted on our website. One Day Pop-up: Members of PVA have the opportunity to host their own one day show in the Gallery Garden. 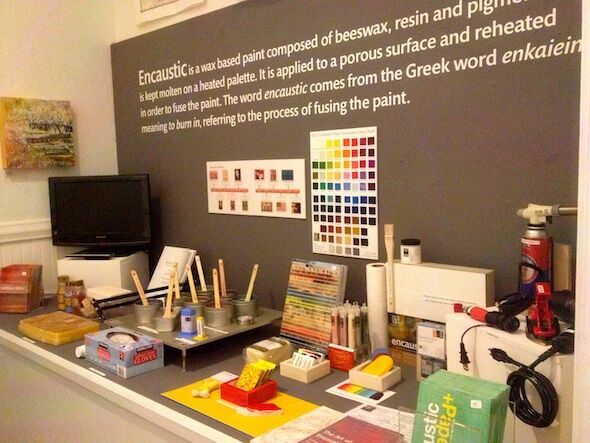 Do you want to curate an exhibition? PVA exhibitions must include at least 5 individual artists, and have included as many as 65 artists. Submissions are chosen for excellence, uniqueness and relevance to our mission of bringing the community together through art. The gallery schedule is often established 2 years in advance. However, proposals are reviewed at any time. The Gallery Committee considers submitted proposals at its monthly meetings. Curators of accepted shows are expected to attend Gallery Committee meetings and will be assigned a mentor(s) to assist them. Contact the PVA office for guidelines. Do you want to apply for a Pop-Up date?